Huxley popped up on the scene just before I left Korea (I’m back in Spain now, if you didn’t know. No more unlimited sheet mask supply for me). The brand, with its simplistic packaging and design, began to grace the shelves in LOHB and Lotte, always enticing me when I entered the store – although, let’s be real here, that’s not too high of a compliment, considering I am pretty much enticed by almost anything in a little bottle labelled ‘skincare’. A mid-range brand, naming themselves a ‘contemporary beauty’ solution, whose focus is ‘stressed skin in urban areas’. With pollution becoming a problem more and more in Korea, and worldwide, a push towards products in this style is certainly happening. Anti-pollution is often seen on the shelves, but what does it mean? Basically, these products use antioxidants and anti-inflammatories to help our skin protect against pollutants in the air, but it’s nothing new. Just a rebranding of existing skincare products, now that people are becoming more conscious of pollution and how it affects our skin. I have no problem with it being marketed this way – it helps me choose certain products that would be suitable for me, a city-dweller, now living in one of Europe’s most polluted urban areas. What kind of ingredients do they use? The stellar ingredient and the main draw of Huxley is its use of prickly pear seed oil. Firstly, it makes the products smell absolutely divine (well, they add fragrance, but still. The smell is definitely cactus). Secondly, prickly pear extract provides high levels of moisture, and is packed full of antioxidants, which limit damage to the skin through protecting it from free radicals, groups of atoms which can destroy or harm skin cells. Normally the body can protect against this, as it naturally has anti-oxidants, but when the number of free radicals becomes elevated (e.g in polluted areas), the skin and body need an extra boost of anti-oxidant care. 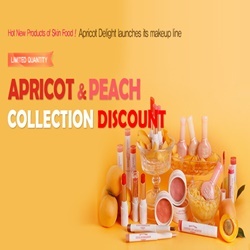 In the US, Glow Recipe is one of the chief sellers of the brand. 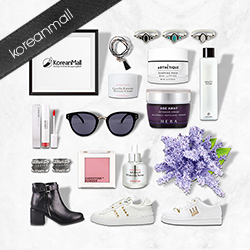 You can also buy products online at StyleKorean. In Korea the brand can be bought at several locations, but in nearly every LOHB, a popular beauty store part of the Lotte brand. In Europe Skin:ID sell Huxley, but are currently revising stock due to European compliance laws. They will be back on the shelves in May (yay no customs charges!). You can also purchase Huxley through a buying service such as Korean Buddy. This means the product will be cheaper but you may have to pay more for shipping. The products, though – are they worth the money? In short, yes. Huxley are not altogether that expensive, when compared to high-end brands – and when you consider the results of the products, paying a little more than you would for a regular drugstore product is definitely beneficial. I’ve tried several of their products and have yet to come across one that I really felt wasn’t doing anything for my skin, except the Oil: Light and More, which I had issues with thanks to my skin not absorbing oil properly. This is the huge draw for me with Huxley – while many of their products contain prickly pear seed oil, they are formulated in a way which is not heavy for the skin, and my dry but temperamental skin loves it. Whilst I’ve tried several of the products, I’m going to simply review my empties here (or nearly empties). I’ve waded my way through the Essence-like, Oil-like, and the Good Night Sleep Mask. Let’s start with the former. I have highlighted some ingredients that could come as a potential irritant for some with sensitive skin, and those with sensitivity to alcohol should be aware this product does contain the ingredient. Some countries (such as Japan) do not allow the use of phenoxyethanol, branding it as a potential irritant, but studies are minimal and evidence is low. Simply be aware what you are putting on your skin – I’ve had no issue with this product so far. There are some beneficial ingredients in there too, such as the aforementioned prickly pear seed oil, cocoa extract, and ilex paraguariensis leaf extract, which is also known as yerba mate. Both are rich in antioxidants, and have anti-aging qualities due to their protection against cell degeneration. Cocoa extract can also help with skin brightening. A light serum-style product, nothing like an oil, and not particularly runny. It glides smoothly into the skin, and absorbs quickly. Not sticky, tacky, or difficult to layer products over. After using this product for a couple of weeks, I have to say I wasn’t amazed by it. However, I was only using it once a day. Mid-March, I was experiencing some very dry patches on my forehead and skin flaking – a rarity for me, even though I have mostly dry skin. It rarely flakes, but for some reason – perhaps the big changes from moving, or new job related-stress (who knows? ), my skin was peeling in sections. After I switched to using this twice daily, I noticed a huge change. I simply use one droplet, and sweep it across my face rather than patting in. I can feel the smooth texture immediately, and notice how my forehead is instantly more hydrated, with my dry spots invisible, and my cheeks feeling a little plumper. This is my only gripe with the product, to be honest. The dropper that dispenses the liquid, in my experience, was TERRIBLE. Perhaps I got a dodgy bottle, but sometimes it took me about ten goes to get even a little droplet into the dropper. After a while, I found the trick was to quickly squeeze the top of the dropper twice, so it suctioned in the product more easily…but even then, it wasn’t foolproof. The dropper was pretty poorly designed, in my opinion. To be honest, I’m not a big fan of products that dispense this way. I find they’re not particularly reliable and it can be really hard to get anything out. Still, despite this, I have purchased the same design from the brand again (in the form of the Grab Water), so it clearly hasn’t put me off too much. EDIT: After using the Grab Water, I don’t think it’s the dropper, but rather that the texture and nature of the product is not suited to a dropper style bottle. Varies. Expect to pay around $30-45, if you can get a decent deal. Places like Glow Recipe have it for $58. StyleKorean has it for $42, and Yesstyle for $36.90 (correct at time of publishing). This is a solid product from Huxley. It hydrates dry skin, leaves it smooth, and eliminates dry patches. It provides lasting moisture, and the smell is divine – honestly, I’d buy this product again just for the smell alone. The dropper, however, is a big issue for me. It needs to be changed, and then this product would be perfect. I couldn’t find a full ingredients list for this product, but I did find information about certain ones included in the list, such as centella asiatica, for calming, hyaluronic acid for hydration, and SC glucan for moisturising. Of course, the star ingredient, the prickly pear seed oil, is also present. The product claims to give a healthy dose of hydration and revitalise rough, dry skin. A very light sleeping pack, easily spreadable on the skin – almost like a gel cream. It feels incredibly light on the skin and doesn’t cloy or feel greasy/heavy in any way. My skin feels like it can breathe in this overnight pack. It is a little sticky to the touch but overall the texture is one of the best out of all the sleeping packs I’ve used. I hands down love this mask – it is probably the stand out product for me out of all the Huxley I’ve tried so far. Wearing this mask, the next morning I wake up with clear, hydrated skin – I look almost the same as when I had finished my nightly routine the evening before. Moisture is locked into my skin, and you can see this especially in my forehead and cheeks. I don’t have too much issue with skin texture or acne/marks, so I can’t comment on whether it really improves rough skin. It does certainly make my skin smooth and bright, however, so that’s a winning combination for a sleeping pack in my opinion. All sleeping packs should come in tubes. It’s more hygienic, it’s easier to dispense a product this way, and they’re easily carried around or taken on travels. When you get down to the bottom of the tube it’s obviously a little harder to get the stuff out, but you only need a pea-sized amount, and with a bit of shaking, it’s possible. At the end of the tube you could also cut off the bottom and decant the remaining teaspoon or so into a little pot. Price: Again, varies, and this often comes in a set. You can buy it separately for $24.70 on YesStyle and $28.78 on StyleKorean. As I said, I think this has to be one of my favourite Huxley products. It really delivered results and was just luxurious to use – I got it as part of a ‘home spa’ set that they sold in a three in Korea, and it was the product that really made me feel I was receiving a pampering. The way the product glides on, the scent of the cactus, and the light, smooth feeling of it – I’ll definitely repurchase. Once I get through the three other sleeping packs I have lined up waiting for review. Whoops. I agree with the Huxley essence like, oil like. Love the product but the awful dropper drives me insane sometimes! Takes me a few goes to pick up a decent amount. Yes the product is great, dropper is absolutely game-changing though. There was a while where I doubted myself in purchasing the Grab Water because of the dropper. Let’s hope it’s not so bad on this one. The sleeping mask is a good choice though!